The months are twirling by and here we are welcoming August. It only seems like last week that I was writing to you about my favourite things to do in Brisbane in July. August is the last month of winter and by now Brisbane residents are looking forward to our regular warm days. In the meantime let's enjoy these last weeks of 'winter' by doing a few of my favourite things. The Brisbane Exhibition or 'Ekka' as its affectionaly known has been a annual event for 140 years and is often described as the event where the 'city meets the country'. 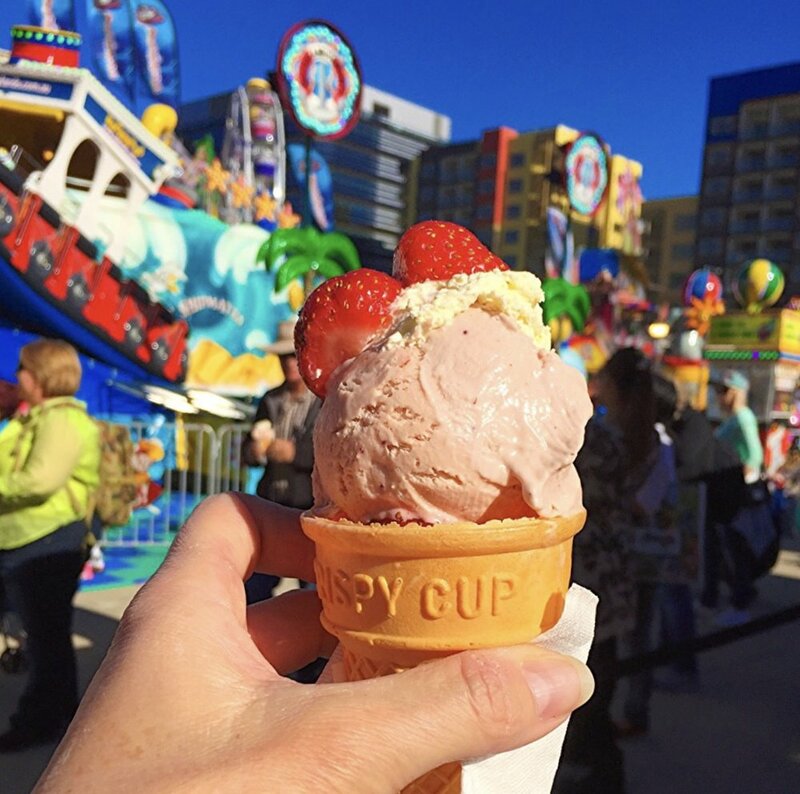 Over 10 days the Ekka showcases the best of Queensland with animal competitions, award-winning food and wine, live entertainment, side-show alley, family shopping, educational activities and of course sample bags and strawberry ice creams. Read more about the Ekka here. With such spectacular winter weather where the day temperate is around 23 degrees why not celebrate our glorious climate and take a short bush walk through Mt Coot-tha. There are a range of pedestrian tracks depending on your ability, you can download a Mt Coot-tha track map here. Why not pack a picnic and park at one of the many picnic sites so that when you are finished your walk you can enjoy a bite to eat. This year Brisbane's iconic running event, the Bridge to Brisbane, turns 21. The race, offers a 5km and 10km course for runners and walkers. I've been runner for a number of years (that's how Lady Brisbane started) and this is an event not to be missed. The new city route takes participants over well known Brisbane icons including the Story Bridge, Victoria Bridge and Go Between Bridge. Register and read more about the race here. The Brisbane Twilight Markets is Brisbane’s biggest all-handmade marketplace. Support local artists, makers and creators by shopping a variety of goods, including jewellery, clothing, children’s products, original art, homewares and more. These markets are an initiative of Brisbane City Council and is a meet-the-maker event and is the only Brisbane-based marketplace selling 100% locally handmade products. You won't find any imported or mass-produced items at this event. Read more about the Twilight markets here. Tip - Park in the King George Square car park for $5 after 5pm weeknights. Let me know what you like to do in August before the warmer weather sets in.